So raise your hand if you're tuckered out from all the reading this month. It's okay if you don't want to, because circus music has been coming from inside my walls all night, and that's a more pressing concern for me at the moment. But if you've been playing along with our awesome Arrest Us! crime contest, then you have likely spent July reading through and reviewing the many great stories that were submitted. Seriously, the showing for this contest was amazing, and if there hasn't already been a contest update as of the time this column gets posted, then expect some news very soon. You guys did a fantastic job all around, and I'm excited to see how everything pans out. Good luck to everyone, and may the cods be clever in your flavor. Oooh boy, this circus music needs to stop. Have you checked out the LitReactor book club yet? Every month, we start discussion on a new book, often by authors and publishers that have some affiliation with LitReactor. Starting today, we're beginning discussion on A Swollen Red Sun, by Matthew McBride. If you don't think you'll be able to make it this time around, don't worry. We typically post each discussion thread a month in advance, so you'll have plenty of time to prepare for the next one. Check it out! The book club is a great place to get to know our members, and since we have so many new people here from the contest, this is a great chance to get involved in the community. We all have our favorite authors, but even the biggest names have written something a little outside of our wheelhouse. Many fans of Stephen King's horror novels are a bit turned off by The Dark Tower series, and even a typecast author like J.K. Rowling couldn't be content to stay in the children's section where she belongs. But what about the authors who, while perhaps not among your favorites, have never failed to entertain you? In this thread, we're discussing the solid performers in the writing world who may not have received the recognition they deserve. What is it about the antihero that is so attractive in today's stories? We see them everywhere, and while not a completely modern phenomenon, the loveable bad guy and hated good guy are becoming more and more prominent. LitReactor has covered antiheroes in columns and even hosted classes on the subject, but you can also add your thoughts here. What is the definition of an antihero? Who are some notable examples? Assert, challenge, discuss. LitReactor is a great place for getting answers to specific questions, but every now and then, it's pretty cool to just ping the community for general advice and see what comes out. When a newcomer asked what everyone thought would be some good advice for a brand new writer, the community created a column-worthy thread all on its own, and it's worth a read. It was started in January, but was resurrected this month, and it definitely warrants some discussion. Check it out. 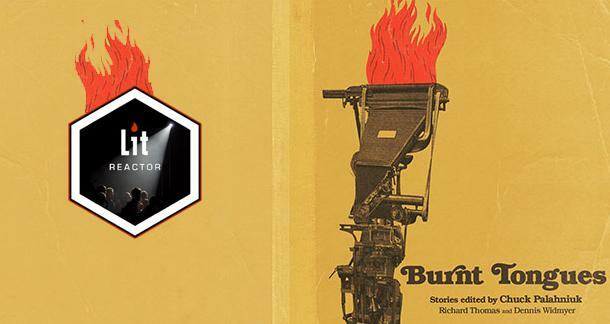 Burnt Tongues has been on the LitReactor news radar for a while now, considering that editors Chuck Palahniuk, Richard Thomas, and Dennis Widmyer are all high-profile contributors to LitReactor. Dennis is one of the co-founders, while Chuck and Richard have both provided numerous craft essays that have served as some of the heavier anchors for LitReactor's status as a premier writing site. 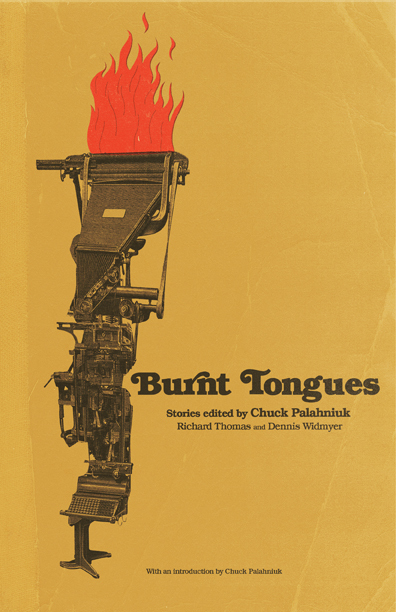 So when they combined their talents to produce Burnt Tongues, an anthology of transgressive fiction where nothing is off-limits, you knew it would be impressive. It's out on August 12th, and yes, you can absolutely order it now from Amazon using the link below. Now that the participation portion of Arrest Us! is over, we're cooking up ideas to keep the momentum going. Feel free to drop any ideas in the comments or in the Community Feedback thread. Of course, if you're still feeling competitive and want to beat up on some fellow writers, Beyond Thunderdome is always looking for new blood. Otherwise, this should be a pretty exciting month for many of our community members who are looking forward to the results of the Arrest Us! contest. Stay tuned for further updates, and I'll see you next month.